I did it. Finally. I committed to doing the Whole30, which includes eating nutrient-dense foods, stabilizing blood sugar and removing common infl ammatory foods. Why? I was 3 months postpartum and feeling miserable. On top of it, the little one was fussy, irritable and spitting up more than what I would deem “normal” for his age. So I had slowly been prepping but couldn’t decide on a start date. I woke up one day and knew it was time. How does one accomplish this when they have little ones, work and barely time to shower? Lots of planning! And quick food options on hand. I meal planned twice per week as that was enough at one time. Then I went grocery shopping off of my meal list. How I found recipes is mostly going to the deep freezer and checking what cuts of meat we had and searched “paleo (insert cut of meat) recipe” and checked to see if it was Whole30 compliant. 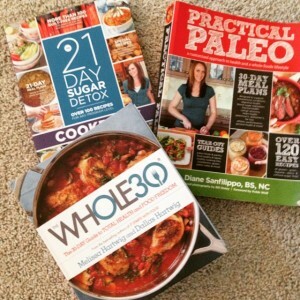 I do have a few cookbooks that I also pulled from including 21 Day Sugar Detox, Whole30 and Practical Paleo (pictured above). 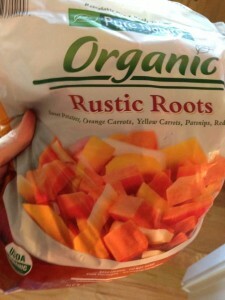 Roasts: meat, onions, rustic roots veggies and broth. Voila! Immersion blender for homemade mayo. Trust me. Search on YouTube. Grate by hand or in a food processor a sweet potato and fry up with eggs for breakfast. Southwest Breakfast Skilled with Avocado Crema by 21 Day Sugar Detox cookbook- this is a MUST fancy breakfast weekend meal!! On top of eating this way, I also implemented a digestive repair protocol, which is good for dampening overall inflammation!! If nursing or pregnant, we modify slightly for our patients. Ok, there’s the quick version. I didn’t want to overwhelm all at once since it’s 30 days but these are the biggest things that came to mind as I went through the process. Next time, I plan on keeping a journal.